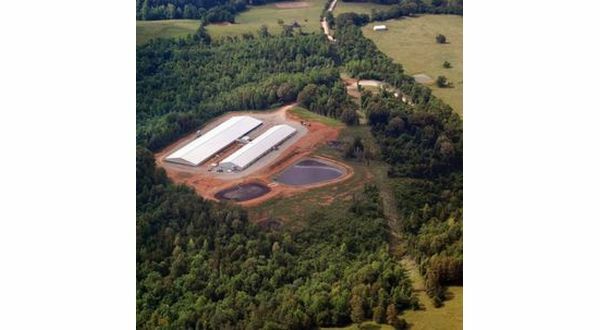 C&H Hog Farm's effort to appeal the denial of its operating permit will be allowed to go forward. Newton County Circuit Judge John Putman denied the Arkansas Pollution Control and Ecology Commission's motion to dismiss the appeal on Friday, and stays issued in October will remain in place. According to the Harrison Daily Times, the Arkansas Department of Environmental Quality denied C&H of a permit for disposal of liquid hog waste in January. The farm appealed the decision to PCE because there was no public notice of the denial. The commission remanded the denial back to ADEQ, but C&H appealed that decision. Judge Putman issued a stay of ADEQ January 10th saying his court gained jurisdiction when C&H appealed. ADEQ issued another permit denial Nov. 19th following two public hearings and ordered the closure of the hog farm a month later. In addition, the Buffalo River Watershed Alliance, the Arkansas Canoe Club, Gordon Watkins and Marti Olesen filed a motion to intervene in the suit and supported PCE's motion to dismiss. Judge Putman ruled Friday the commission's own administrative procedures state its vote to affirm the administrative law judge's recommendation to remand "shall constitute final commission action for purposes of appeal" making their order appealable. He also ruled C&H did not win the case before PCE because it didn't prevail on issues appealed to the circuit court. In addition, he says ADEQ's November denial of the permit doesn't affect the farm's appeal because his court gained jurisdiction over the matter when the appeal was filed, and he issued a stay. The order issues two stays, one on ADEQ's January permit denial to prompt C&H's closure, and the other on PCE's decision to send the permit application back to ADEQ to be reopened under a new draft decision. The stays allow C&H to operate until final orders come from the court.